A good research paper should focus only on one research question. Therefore, the selection of a narrow subject area and a narrow topic is crucial for writing a good paper. There are many types of research papers depending on the discipline. The way you write a research paper about a topic in Physics can be vastly different from a paper written on Greek tragedy “Electra”. The Science research topics are usually written based on laboratory experiments or field observations; while some research projects in Social sciences involve surveys among people. •	Use of Theory to Supports the Science Experiments – Science fair projects and term papers on science prepare high school students, by developing their research, analytical and writing skills, that will be useful for their future academic research and day to day work in their future careers. Writing a good research paper on a well conducted experiment or a science fair project is a valuable experience. If a science research paper explains the background theory, formulae and the mathematics involved in it, it is appreciated by readers as they need not refer to any other sources to learn or refresh their knowledge. •	Surveys Play an important Role in Social Science Projects – The preliminary data, both quantitative and qualitative, in Social Science research come from surveys conducted among people. The participants in the surveys are selected from the target groups using accepted sampling methods. Statistical techniques and software are used for analyzing and evaluating data to arrive at conclusions. A good research paper written to present the results of a research project involving a survey, shall necessarily include the sampling methods, validation criteria, statistical methods and software used in the analysis of data. Clearly stating the statistical level of significance of results gives credibility to the research paper. •	Literary Research and Research Papers – Research papers based on literary research is used to study literature and the literary works. The research is mainly done by reading and studying the literary work or the works of the topic which is referred to as the primary sources and what is written on the topic by others, called secondary sources. Good research on literary works shall always use reliable, scholarly sources. 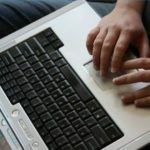 More and more students turn to sources available on the internet, but they shall use reputed sources like academic data bases of universities and libraries. Good papers shall always give complete introductions to the primary sources and clear and specific references as per accepted citation formats. To simplify matters, students buy essay online which they can use as a customized sample for the work. •	Case study based research for business studies- While business school utilizes many different research methodologies, using a case study approach can allow for deep investigation of a one or a number of entities taken as case study samples. Selecting case subjects that represent the context of the study well is a prerequisite to the success. A good research paper can be made better with a little help from an expert. Expertise comes with experience. There are many writers who write research papers on a routine basis. Who else have better experience than professional writers who have written volumes of research papers and helped students to get superior grades? This is the main reason that students increasingly look for research paper help from professional writing companies. Students can order a custom essay, custom term paper or a custom research paper from a good writing company such as Paramountessays.com to earn high grades for their assignments.